#FestiveRunStreak | Run Spud Run! I’m not sure what has possessed me but I’m running every day in the month of December. I think this has partly come about due to work being mental, and the need for me to destress on a run has encouraged me to do this. I also need to get back into running and thought this would be good to build a base. I’m on Day 7, and most of my runs have been to work, which so happens to be downhill most of the way. Bonus! 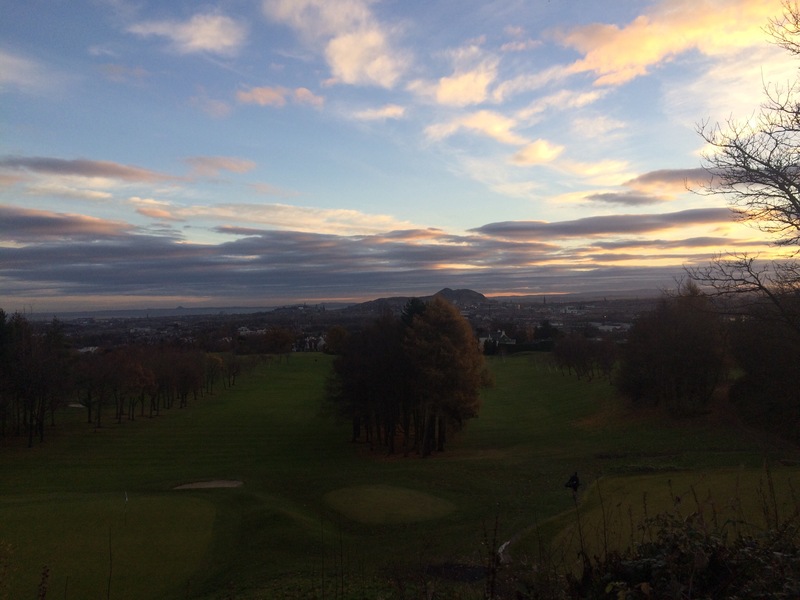 It’s 6km to work, not far, but it takes me over the hill and gives me a great vista over Edinburgh. These small views make the run worthwhile. I ran home today on the 7th day making it a double run day, and it was pitch black up the hill. It is covered in Trees high above the city, at one part, the twinkling lights can be seen far below and it feels like you’re really high up above. This morning I’m positive a bat almost flew into my face, attracted by the headtorch, and then I almost stood on a mouse, which had me singing “three blind mice” all the way to work. My legs are definitely feeling the extra effort, especially my calve and shin muscles. I can feel them working and fatigued afterwards. My psyche has improved massively though, I’m more alert, I’m focussed, I even make decision, or things are becoming more clear when I’m running. It’s great. Funny how even me, who averages 3-4 runs per week can feel the benefit of running everyday.